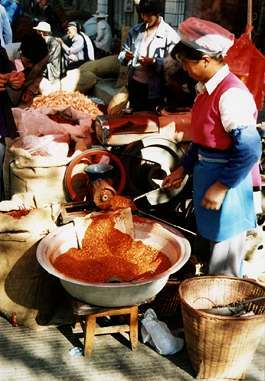 Ethnic Bai woman grinding chili peppers in Dali, China. 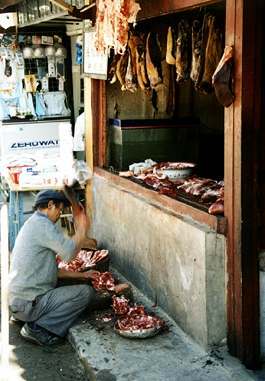 A butcher shop in Dali. Not the most hygienic conditions. 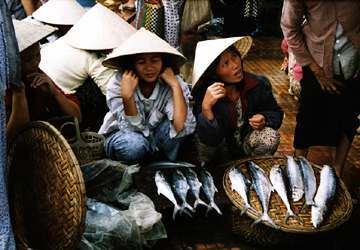 Ladies selling fish in Hoi An, Vietnam. 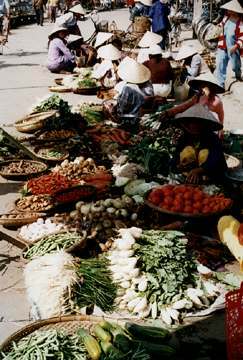 Vegetable market in Hoi An. 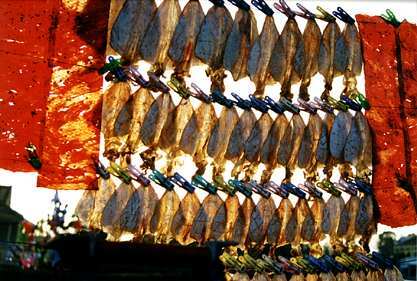 Live ducks for sale with vegetables in Hoi An. 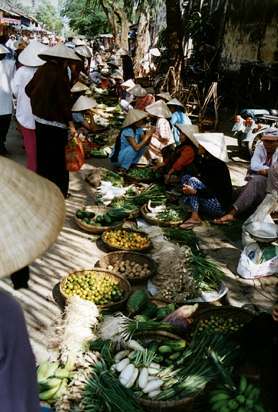 Another street market in Hoi An. 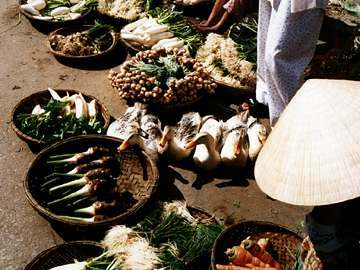 Floating market in the Mekong Delta of Vietnam. 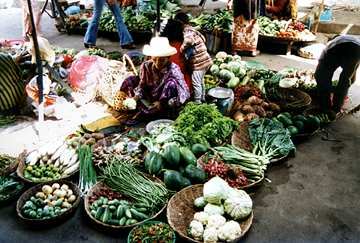 Vegetable market in Siem Riep, Cambodia.